The head of the Canadian Labour Congress is accusing Unifor of raiding another union for members after it ended ties with the national lobby group. The move comes a day after Canada's largest private sector union split from the CLC. The head of the Canadian Labour Congress is accusing Unifor of raiding another union for members after it severed ties with the national lobby group for the country's labour movement. Unite Here Local 75, which represents hundreds of hotel workers in Toronto and Mississauga, Ont., announced Thursday night it is seeking to leave its U.S.-based parent union and join Unifor. The move came a day after Canada's largest private sector union split from the CLC over concerns including what it says are some U.S.-based unions stifling workers' rights to change the group representing them. "Since the disaffiliation, they are now involved in raiding Unite Here in Toronto," CLC president Hassan Yussuff said. It's against the rules for affiliates to solicit the members of another affiliate to join their union, he explained. "But, if you leave the congress, then, of course, you're free to go and solicit any members that they wish to join their union. And that's what they're doing right now." 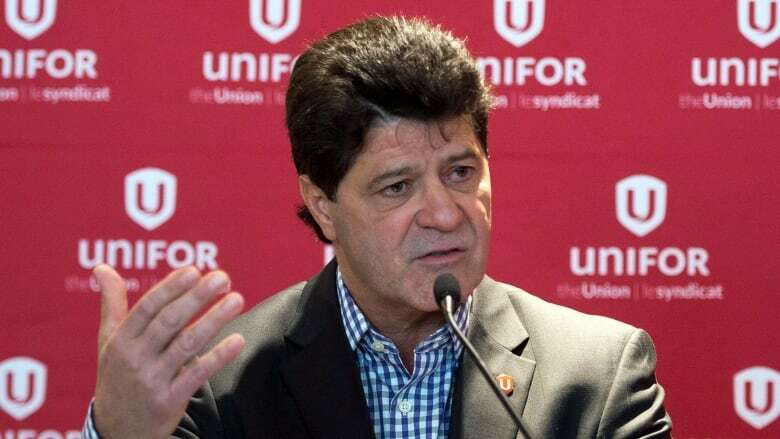 However, Unifor president Jerry Dias insists Unifor's decision to leave the CLC was not about boosting its membership and denied the accusation that he was raiding another union. "I have zero interest in raiding any unions. We will respond to those that attempt to raid us, but this has absolutely nothing to do with raiding," he said. Dias said the CLC rules that give disgruntled unionized workers an avenue to choose different representation don't work, particularly because U.S.-based unions that are also part of the CLC don't want them to be effective. Among the CLC's 65 members, there are 33 international unions. The Air Line Pilots Association International, for example, is an affiliate that represents pilots at airlines in both the U.S. and Canada. While unionization rates have fallen in Canada, the drop in the United States has been even larger. For U.S. organizations, there's financial incentive to keep Canadians in their unions, said Dias, considering 28 states have so-called right-to-work laws that make union dues unenforceable. "Canada is a major cash cow," he said. "So there is one heck of a push amongst the U.S.-based unions to ensure that their members can never leave their union." Unite Here Local 75 outlined several frustrations with its parent Unite Here when announcing the vote to switch unions. It said Unite Here put the local into trusteeship in January, removed elected officials and seized the local unit's assets. But international unions have been a part of Canada's labour movement since the start, said Christopher Monette, a spokesman for Teamsters Canada — a CLC affiliate. The union represents more than 125,000 members and is affiliated with the Washington, D.C.-based International Brotherhood of Teamsters. "We don't feel concerned by these accusations and charges from Unifor," said Monette, calling Unifor's reasoning "spin." "They're leaving because the CLC does not allow their affiliates to openly go out and raid other unions," he said. Yussuff disagreed with Dias's assertions that the CLC has failed to act on member complaints, adding its received 46 complaints between May and December last year and all have been resolved. The group can't address complaints it doesn't receive, he added. If Unifor has issues with the group's constitution, Yussuff said, the union should have worked within the system to build a consensus around how to improve the structure. "Leaving and interfering in the relationship with other affiliates is not a way to demonstrate your solidarity," he said.